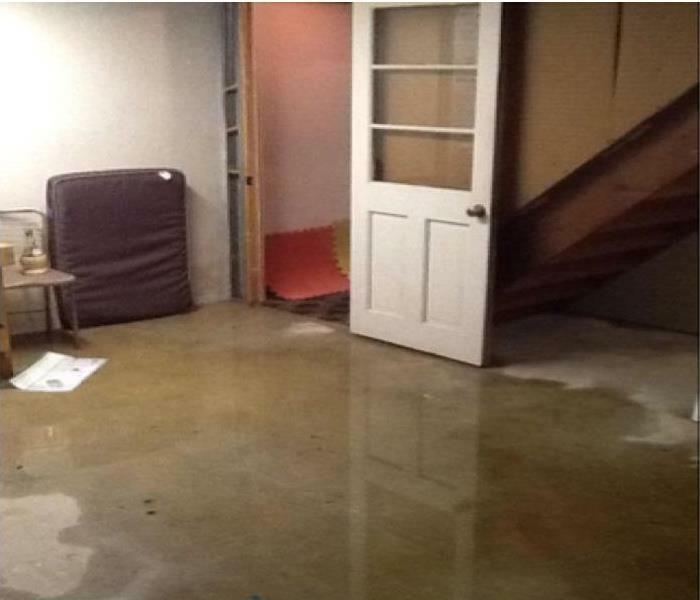 The semi-finished basement in this Nutley basement experienced a plumbing failure resulting in some pooling water. SERVPRO responded within the hour to the call, vacuumed up the water, set several air movers and an LGR dehumidifier, and our customer's client at the end of the day. "Like it never even happened."